Peter Abbarno wins “Best Volunteer” award! 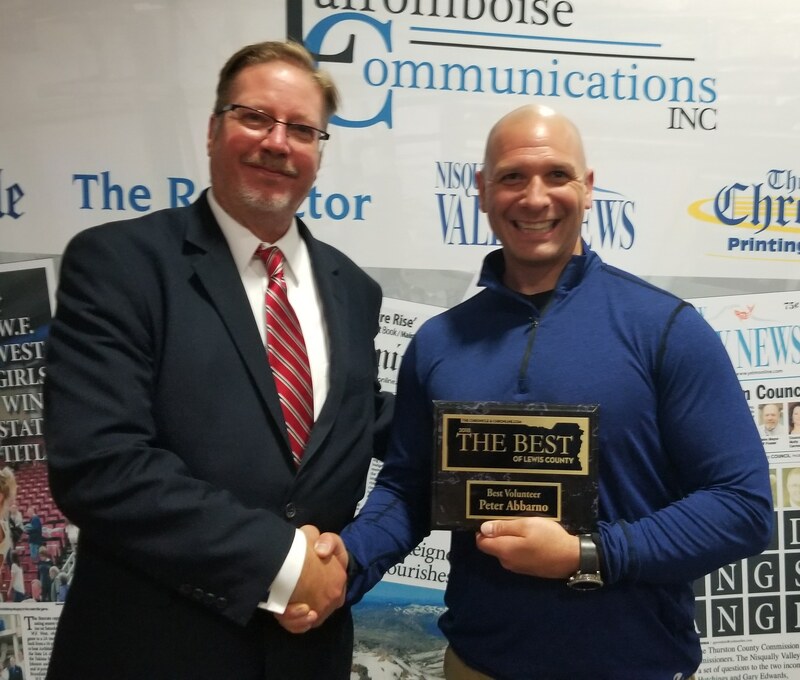 Peter Abbarno, Partner with Althauser Rayan Abbarno, recently won the “Best Volunteer in Lewis County” award presented to him by the Daily Chronicle newspaper. The award was voted on by the readers of the Chronicle. 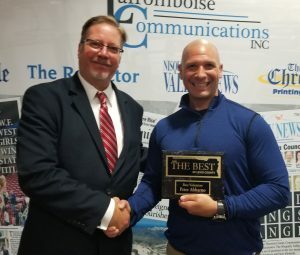 “Thank you Lewis County and the Chronicle readers for voting me the “Best Volunteer in Lewis County,” said Abbarno. “This award goes out to all the volunteers that work to make our community a better place to live.” Peter volunteers for a number of organizations in the community, including President of the Centralia College Foundation, Centralia City Councilmember, Watch D.O.G.S, W.F. West mentorship program, Morton High School Mock Trial Team, Special Olympics, Centralia Community Foundation, Centralia Back to School Supply Drive, and many more.